Home > Jack Reid finally crosses paths with his ‘mystery mirror’! Jack Reid finally crosses paths with his ‘mystery mirror’! 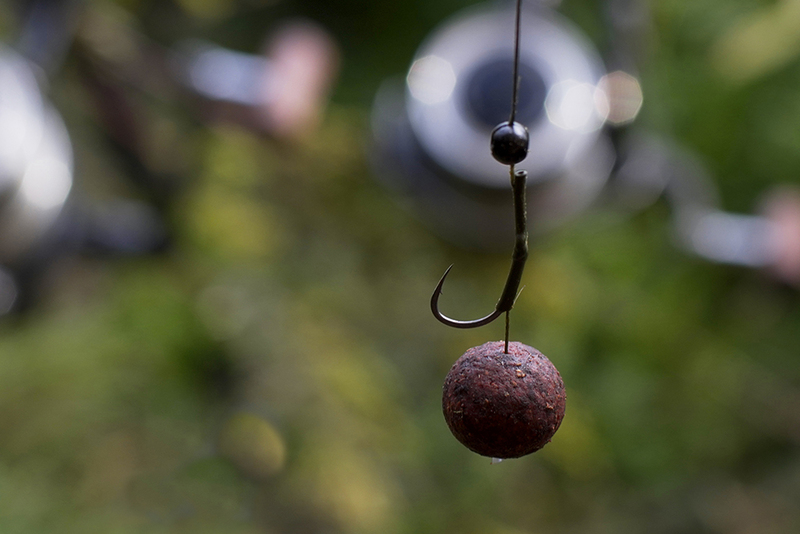 Without giving too much of a long backstory, most of my year has been spent fishing a 'bite at a time', on a fairly mysterious gravel pit, that has had very low intensity angling in its past. 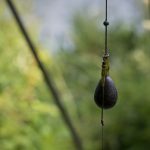 With a wild and low stock of carp, especially cautious and illusive due to the presence of otters, it has been pretty hard going at times, with every bite being hard earned, and no particular pattern building up. 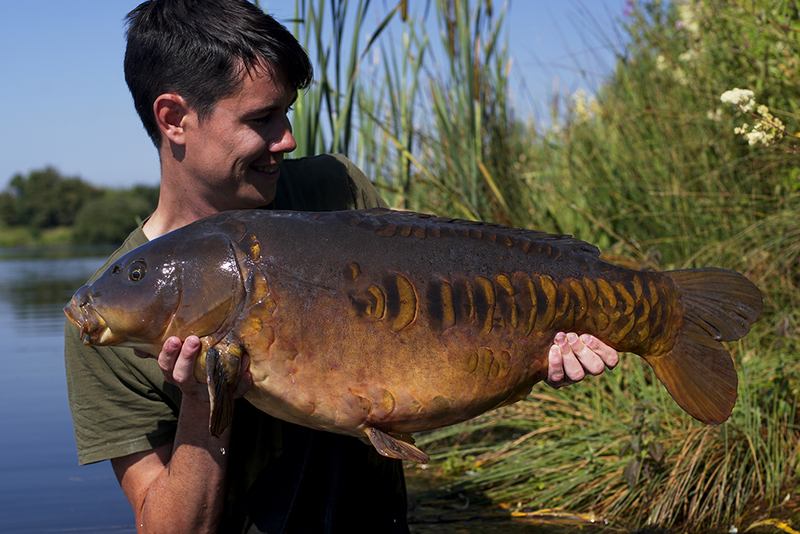 Fast forward through endless sessions throughout a brutally cold winter and boiling hot spring, to the post-spawning summer period, I decided it was time to try bring the fish to me, embarking on a massive baiting campaign in the best area I could think of as a 'crossroads' on the lake. 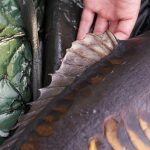 The location of a baited spot decision relies on all the learned watercraft of the year so far and your understandings of the holding areas and routes the fish actually use and I felt I was making a good choice. 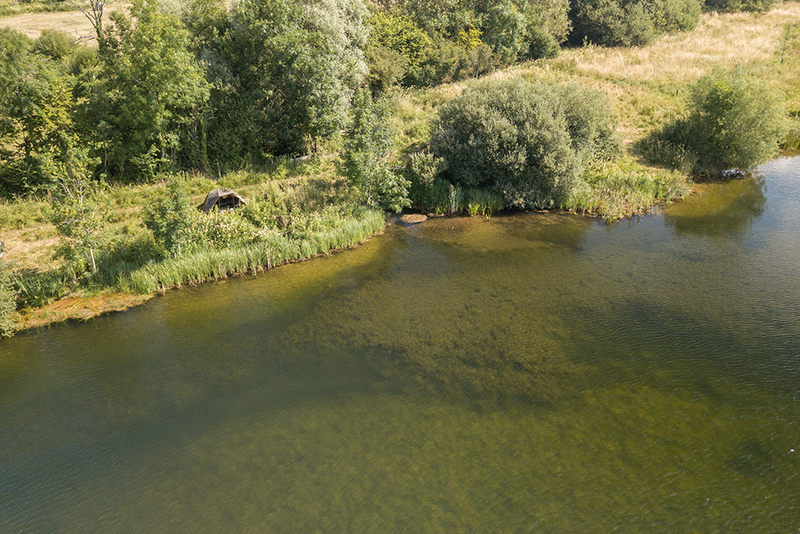 With many of the lakes stock under my belt, I had a few more to go at based on my own observations as well as those of the odd tench angler, old photos or the lakes guardian telling me stories of shapes and shadows. 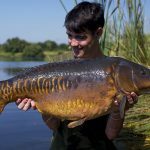 Two particular fish, one of which that has seemingly never been caught, and a known fish that had been under my radar the whole year were the source of inspiration to carry on fishing. 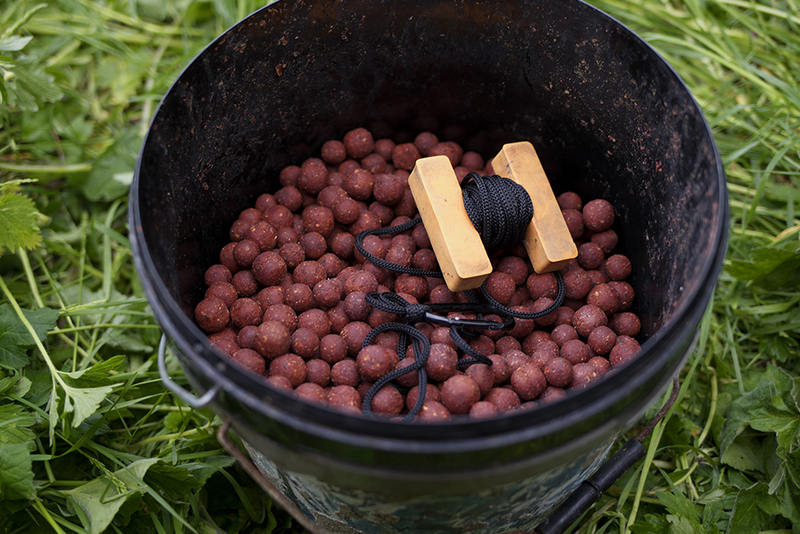 Using a variety of mixed particle, tiger nuts and Atlantic Heat boilies, the aim was to build an area and fish over the weed with simple pop up rigs or chod rigs for the weedier areas of the spot. 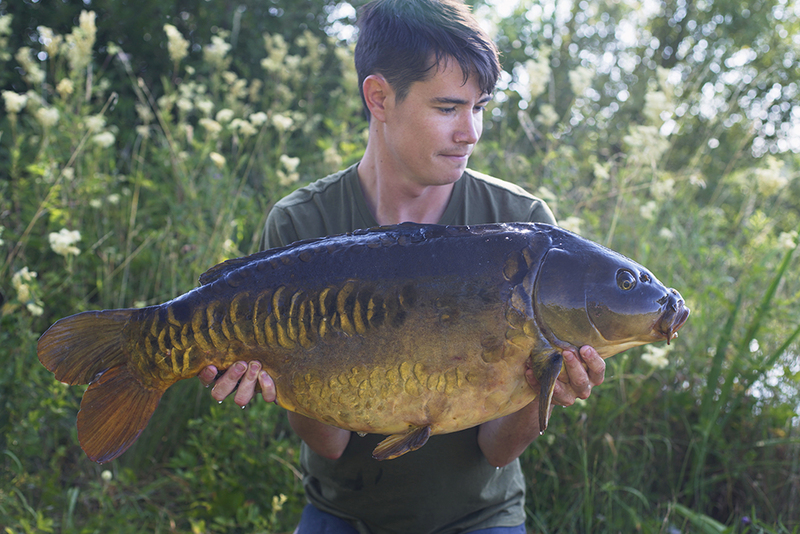 Baiting up quietly from a dinghy provided stealth, and the approach soon proved successful, landing me some of the beautiful carp the lake holds. 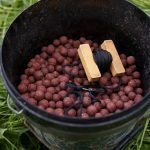 My fingers were firmly crossed that any yet unseen carp would fall eventually to the allure of bait, but as the year went on I mulled more and more that I had seen most the stock on a regular basis, but never the target mirror. Surely it had to have passed on? 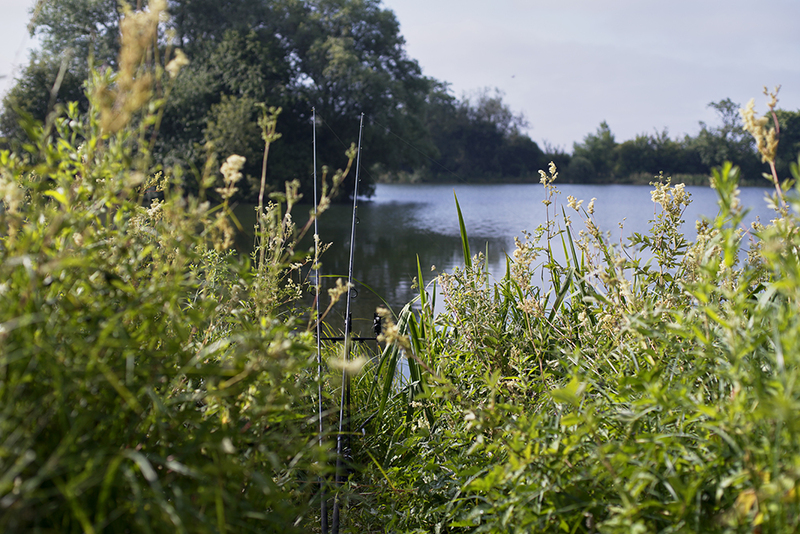 Most the bites would come between 4am and 8am, and one of those mornings, a gentle take on the right rod saw me stood out in the reeds doing battle once again. 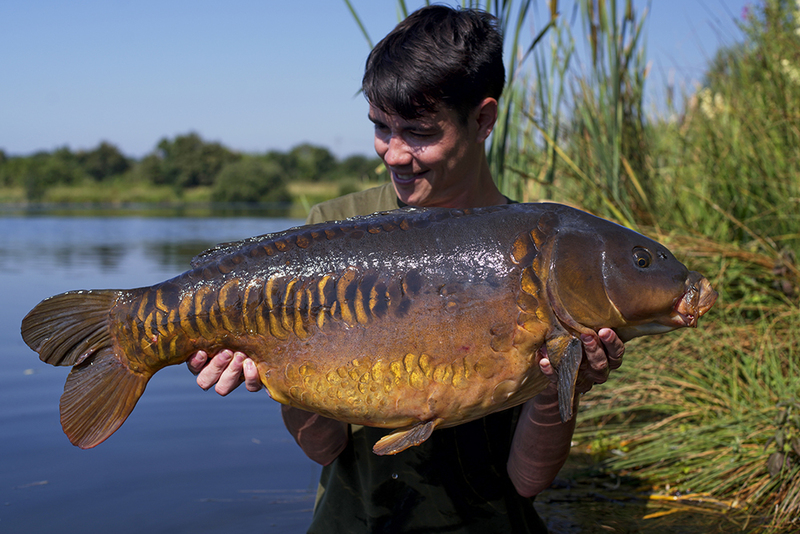 This one felt big and plodding, and not too far from the net I saw that not only was the 'mystery mirror' still alive, but he was looking incredible. 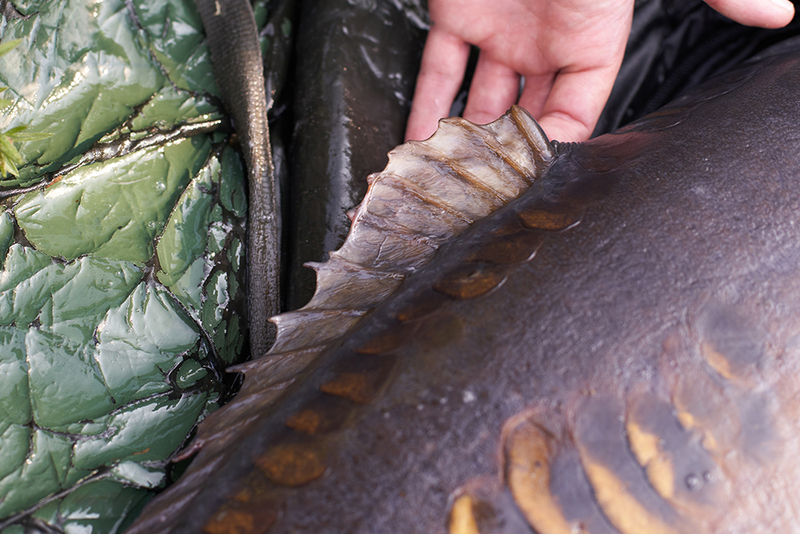 Needless to say, the Cryogen Gripper held tight, and the fish was in the photo album. 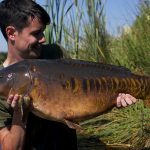 The moral of the story, is that no matter how hard you look or how clear the water, even striking and sizeable carp can seem to evade your sight for months if not years. 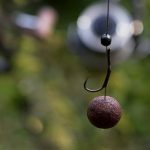 Even on busier circuit waters where the stock is well known, it is common for these waters to have fish that go without capture for many years. 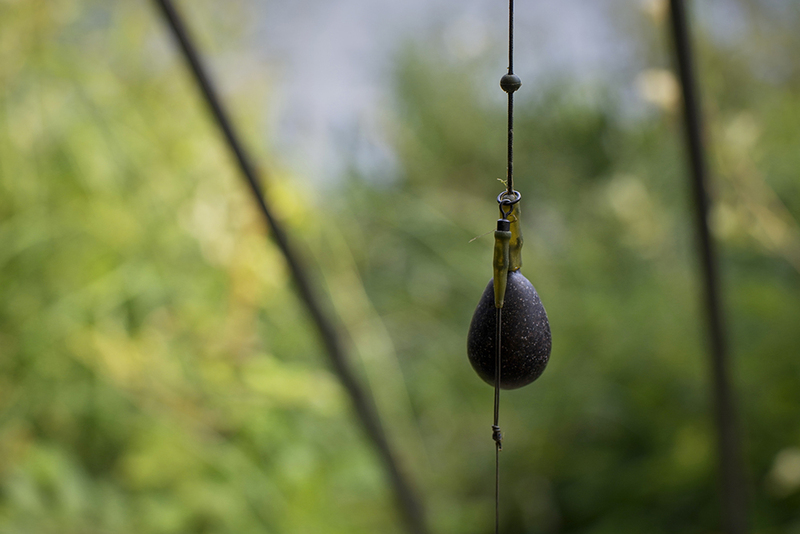 Anyway, I must go prepare some more particle for another bait run - there is still another fish out there somewhere!